Rockingham County, Merrimack County, Hillsborough County. Amherst Atkinson Auburn Bedford Bow Chester Concord Danville Derry Dunbarton Epping Epsom Fremont Goffstown Hampstead Hampton Hollis Hooksett Hudson Litchfield Londonderry Manchester Merrimack Nashua Northwood Pelham Plaistow Salem Seabrook Suncook & Windham. We are a professional pet dog pooper scooper and dog waste removal company in southern NH that believes customer service is the most important aspect of our business. Our job is not just to scoop your dog poop but to provide you and your family with a clean back yard and lawn to relax and play in. We do this by providing the service of scooping your dogs’ poop and removing this dog waste from your property. Not only do we keep your yard and lawn clean and free of dog poop by removing the dog waste, but our pooper scooper service also looks for potential hazards to your dogs in your yard and for any signs of poor health. How do we do this? Unlike many other pooper scooper services we provide a report for every visit to your property. What’s in this report? We let you know what time we arrived and left, any environmental concerns within the yard, and any signs of health that can be seen in the dog poop. 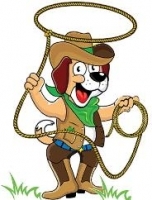 We have helped customers by letting them know to fix the whole their dog was digging under the fence, that there were poisonous plants within easy reach of their dog’s eager mouths, and by informing them of what is in their dog’s waste. Diarrhea is a common concern that we let customers know about but we have also found blood, which we call the owner while we are still in the yard to let them know, papers, and pieces of rubber and plastic, not to mention worms. This service we believe has led to much faster treatment for dogs showing the first signs of distress as many customers were able to get their dogs right into their veterinary office! This makes not only for a healthier dog, but for a healthier wallet on our customers part by treating an issue before it develops into something more severe. Canine Custodians is a locally owned, serviced based business that specializes in the removal of dog waste from residential properties. 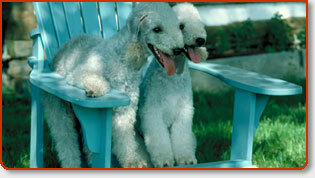 We provide a very affordable, reliable, & pet friendly service in the area. By providing regular cleanups, we can help you insure that your family & pets always have a clean & healthy environment. Our focus is to provide each of our customers with a efficient, thorough, & reliable routine and special occassion dog poop maintenance service. Scooping in far more than these cities too: Nashua Wilton Sharon Litchfield Hollis A poop removal in Goffstown, NH. Brentwood Candia Derry Newfields Plaistow Keene Marlow Roxbury Spofford Swanzey, New Hampshire. Solid pooper scooper business serving the Southern cities of New Hampshire state. Pet owners, tired of the headaches of getting out in the backyard after a spring thaw? Leave the unsightly (and down right smelly) mess to this company. It´s the easiest way to scoop poop. You no longer need to feel guilty about falling behind on this important chore. Dog-Gone-It dog poop removal is available to take over the task completely...once and for all. Irrespective if it is for a one time only cleaning or routine weekly service. They are there to support dog owners like you. They service many other cities too: Amherst Bedford Brookline Deering Goffstown Hillsboro Hudson Nashua New Boston +. Have you been arguing over who’s turn it is to be on dog poop patrol this weekend? Irrespective of whether it be the freezing cold months of winter or the dog days of summer, you and your family no longer need to be responsible for picking up your dogs poop any longer. Yes, I know you love your dogs. But do you love cleaning up their dog poop when the thermometer mercury is about to burst? If you’re like me, you can think of a lot better ways to spend your free time than picking up after your dogs and cats. Well, thanks to New Hampshire professional pooper scoopers like those listed here, you no longer need to be concerned about cleaning up your pets weekly poop deposits. Put your “poop detectors” away and stroll confidently through your yard. How? Hire a professional pooper scooper in New Hampshire to take full responsibility for routinely visiting your home on a scheduled basis and removing all those smelly “canine calling cards” so you need not worry about it. Not to be left out, many of these dog waste removal services have been servicing cat litter boxes as well. No joke, they take care of all your pet poop problems. This is THE premium service for those of us who have dogs and cats but find the necessary task of consistently cleaning up after them unpleasant and just down right yucky. There’s not a bigger let down when you want to take advantage of a quick wrestling match with the dogs before supper or settle into a impromptu game of wiffle ball with your challenging kids, only to find yourselves knee deep in dog poop. I speak from experience here. I grew up playing “dodge ball” and “pickle” in a lot of my friends backyards. The joke amongst us still today was that we spent a lot more attention and sweat on attempting not to “step in it” than we did on actually dodging the ball from hitting us. Believe me, and I think you would agree, there is nothing like having a asthetically clean, odor free lawn and garden that you are proud to invite your friends and family over to enjoy with you. Did I forget to mention all the time and arguments you’ll save yourself and family? Completely avoid this hassle altogether and contract one of these professional dog pooper scoopers if you ever want a fighting chance to make it out of the poop mines alive!